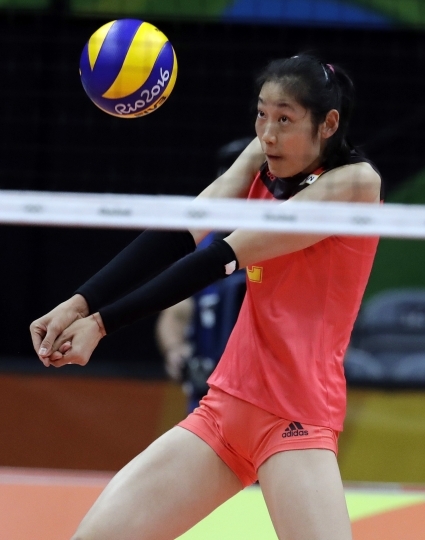 BEIJING — A towering volleyball player who makes her living in Turkey is the unrivalled star of China's squad at the Asian Games in Indonesia. Zhu Ting is something of an anomaly in China's sporting world, which still largely relies on its highly disciplined and deeply nationalistic sports academies to produce champions who dominate at events such as the Asiad. Her professional success demonstrates how its athletes are looking for new avenues to develop their talents, and sports administrators are hoping that will spark a resurgence in the country's fortunes after China placed third in the medal standings at the Rio 2016 Summer Olympics. Despite her already considerable achievements, the 23-year-old Zhu doesn't mask her thirst for greater glory. "Champion, MVP, best attacker, I've nabbed them all. But still, champion (is my goal)," she said in a recent interview with Hong Kong media. "No one can get too much." 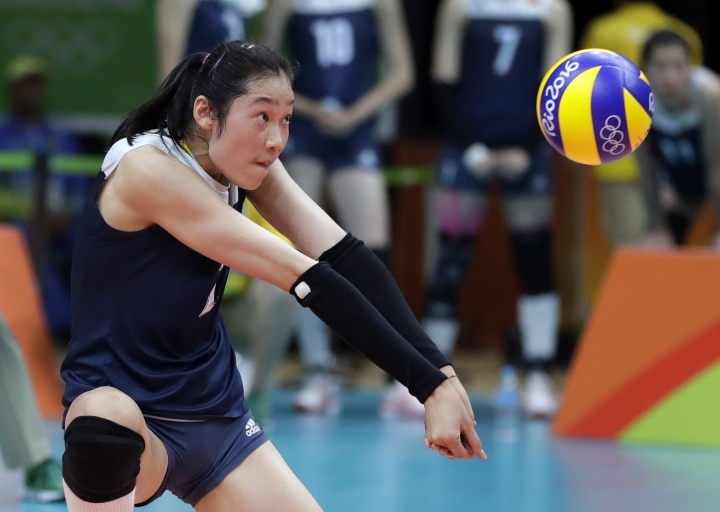 Zhu was the backbone of the women's volleyball team that won gold at Rio, earning her the MVP award. That was followed by a move to Vakifbank Istanbul, where she won the Turkish league title last year and was paid a reported salary of more than $1.5 million — making her the world's highest-paid volleyball player, male or female. Unconfirmed reports say Russian club team Dinamo Kazan is prepared to increase that offer for the coming season. Standing 1.98 meters (6-feet-6), Zhu is the middle of five girls of a family from central China's rural Henan province. She entered the junior national team at 16 and won her first MVP award at the Asian Juniors in 2012. The next year she was promoted to the senior squad by legendary coach Jenny "Iron Hammer" Lang Ping, who is again leading China's squad and continues to sing Zhu's praises. "We're lucky to have such a gifted athlete as Zhu Ting," Lang said at a charity event late last year. 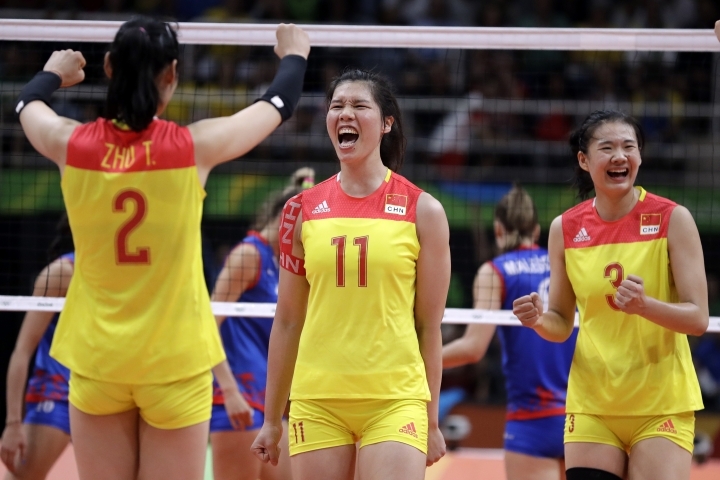 "But not everyone in Chinese women's volleyball team has to be her." Like her contemporaries, Zhu maintains a lively social media presence, posting July 31 on Facebook, "Can't wait to compete again with my team." "This Asian Games functions as a mid-term test and a valuable experience leading up to Tokyo 2020, and also serves as a comprehensive check on the state of competitive sports in China," Liu Guoyong, director of competition at the State General Administration of Sport, was quoted as saying by the official Xinhua News Agency. Sprinter Su Bingtian, holder of the Asian men's record in the 100 meters, leads the track and field squad, while basketball fans will be looking for a strong performance by Zhou Qi, who last year signed with the NBA's Houston Rockets, the former team of Chinese all-star center Yao Ming. China's table tennis squad will be boosted by the presence of Ma Long, the Olympic and world champion and holder of the No. 1 ranking for 64 months, the most of any male player. He'll be joined by fan-favorite Zhang Jike, winner of singles and team gold at the 2012 London Games and team gold at Rio. Some in China have begun to question whether it's time for the 2008 and 2012 Olympic badminton champion to hang up his racket, although the player known as "Super Dan" says he's not bothered by such questions and is determined to battle on. "I will continue to fight as long as I still have capability and time," Lin told reporters after being knocked out of the BWF World Championships last week.